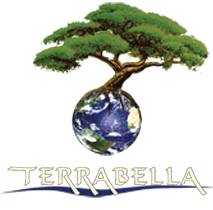 Rainwater Harvesting in the Northwest | TERRABELLA, inc.
^ – This is what Rainwater Harvesting looks like in nature. Unfortunately, at best, we have relegated the art of collecting our free falling natural resource to stuffing it into a barrel at the end of our gutter. At worst we simply let it trickle into the stormwater system and allow it to mix and churn with our wastewater, overwhelming our treatment plants who are then often forced to discharge it straight into the river, mixed with raw sewage. Imagine, however, that rainwater harvesting could be turned into an art and given its place in the landscape. That is precisely what we aim to do with our custom designed systems. Not that a barrel is bad. We believe something is better than nothing. However, most roofs will overwhelm a small barrel in a fairly short amount of time. 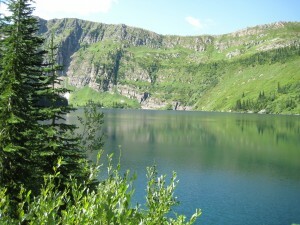 Spokane Washington receives somewhere between 16 and 24 inches of annual rainfall. Spring is a prime time to be collecting this rainfall. If the right size cistern is created it is possible to water your lawn and plants into late May and perhaps even June. With the occasional rain in June through September it is possible to reduce your irrigation season to a short 4 month period. Now, imagine what we could do if we simply started planting more drought tolerant plants and grasses in conjuction with a rainwater harvesting system! Please call us for more information.